Colin has created a unique foothold in the commercials, content and short film arena by breaking the mould, there is nothing he won't or can't turn his hand to. 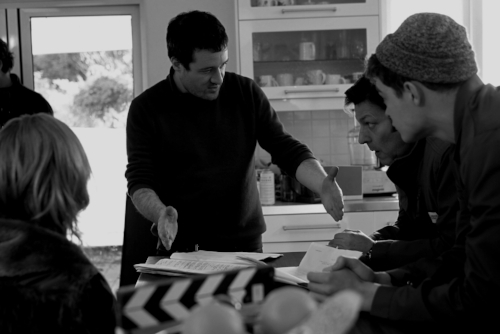 A rare breed of director, equally at home with kids as celebs, comedy as cutting edge drama. His work is based purely on the creative, refusing to be categorized by genre. He approaches every project from the strength of the idea and what he can bring to it. He is also a technical wizard, born and bred in Manchester. His style of shooting is always based in realism and laced with humour where he can place it. His latest short, 'The 10AM', is a Vimeo staff pick and has received over 100k hits on Vimeo to rave feedback. He is currently in pre-production for his next short, an ambitious dark comedy called 'Cowboy Dave' about a childhood experience shot entirely in Manchester.